Santa Clara, CA - October 10, 2017 - Jamcracker, Inc. the Cloud Services Brokerage (CSB) enablement company has partnered with Indonesia’s leading fully Integrated Managed Information and Communications Technology (ICT), PT Aplikanusa Lintasarta (Lintasarta) a subsidiary of PT Indosat Tbk. Lintasarta enlivens Indonesia's marketplace market by introducing Lintasarta Cloud Marketplace service on Tuesday (3/10). The B2B Cloud Marketplace service offers diverse cloud solutions from Infrastructure as a Service (IaaS), Software as a Service (SaaS), and Platform as a Service (PaaS) for the enterprise, government agencies, Micro, Small, and Medium Businesses market. Lintasarta Cloud Marketplace is a joint partnership between Lintasarta as a key player of the Information & Communication Technology (ICT) industry solution in Indonesia, with Jamcracker as a global Cloud Services Brokerage (CSB). Along with the rapid demand for Cloud services in Indonesia’s digital transformation era, Lintasarta Cloud Marketplace’s presence becomes a solution for easy access to obtain IT cloud-based solutions. Services that are currently available are SaaS services in the category of business application, communication & collaboration, and security. These services are the top players in the SaaS market with some services as Leaders in the Gartner Magic Quadrant. Improvements will be developed inline with Lintasarta Cloud Marketplace’s vision, disclosed by Lintasarta IT Services Director, Arya N. Soemali, "Lintasarta Cloud Marketplace will become a one-stop digital solution platform for businesses." In the future, Lintasarta Cloud Marketplace will be enriched with various SaaS services from global players until local Independent Software Vendor (ISV). This ensures Lintasarta’s commitment to become a digital transformation enabler for business actors from various industry sectors. "We are very enthusiast to partner up with Lintasarta to offer a platform that is able to activate Cloud Exchange and a marketplace to encourage digital transformation to Indonesia’s business actors." said Jamcracker, Inc CEO and Chairman, K.B. Chandrasekhar. According to K.B. Chandrasekhar, Lintasarta has shown its leadership & vision to ensure that Indonesia’s business actors from various sectors and sizes is able to obtain access to cloud services. In the end, Lintasarta ensures to be an enabler of Indonesia’s digital transformation by providing complete & superior quality cloud services. 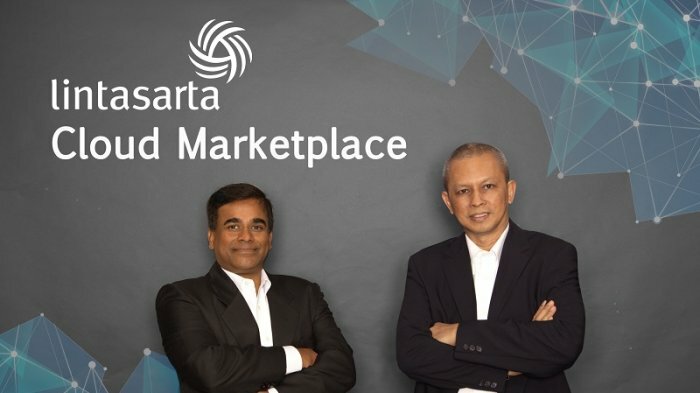 Lintasarta Cloud Marketplace (https://marketplace.lintasarta.net) is now available for its SMB customers in Indonesia, offering a host of SaaS services now. IaaS and PaaS cloud services will be available soon.